It's finally here! 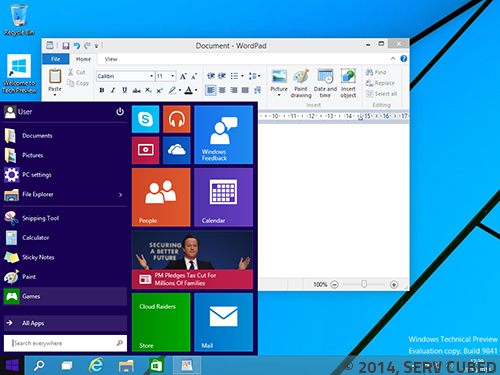 The Windows 10 tech preview has arrived, and with it comes some great new features. The first notable difference is the arrival of what seems to be a combination between the original start menu and the Windows 8 start screen. 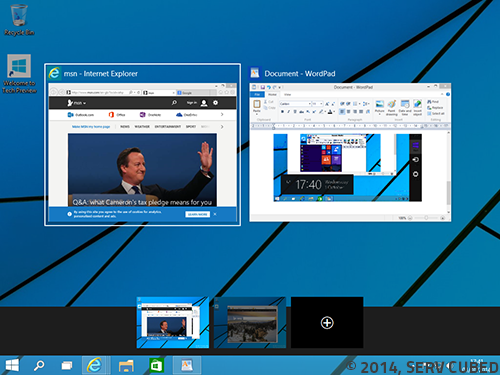 Microsoft have finally implemented multiple desktops. Read more about Windows 10 is here!